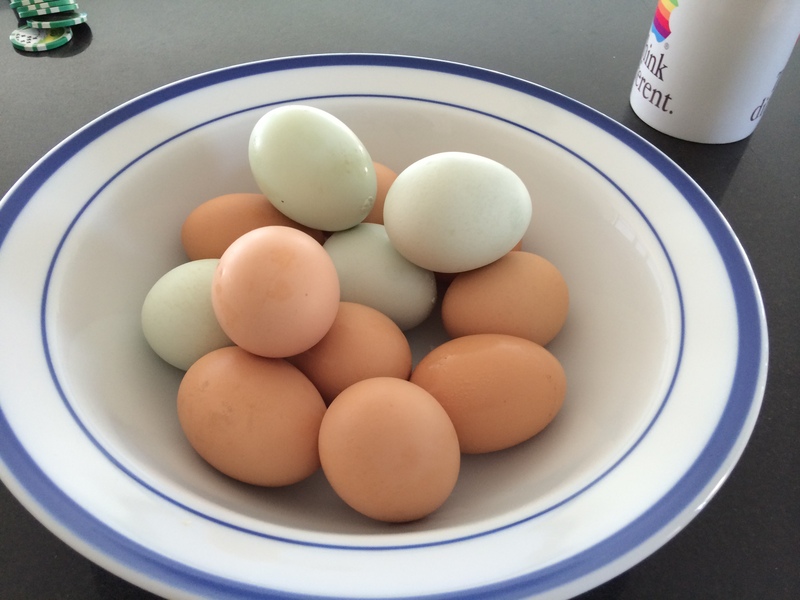 I got a nice surprise today when Hollie brought me some eggs from her backyard chickens. She gave them to me after the spin class she taught this morning, and I cooked them up for breakfast. I scrambled them with a little half-and-half and butter. Add some fried up potatoes, mushrooms, and onions, and it’s my favorite breakfast after a 1000 calorie spin burn. I’m still completely fascinated by one-degree-of-separation food.